Capacity: 100 to 250 Kgs. the hardcase paddle mixers is a efficient mixer particularly to mix dry powders with liquids, dry powders with roughages etc. 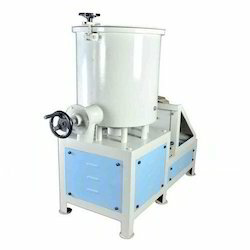 viscous liquids like molasses can also be effectively mixed with dry powders in this mixer. Matching up with the ever increasing requirements of the customers, our company is engaged in providing Polygonal Blender. 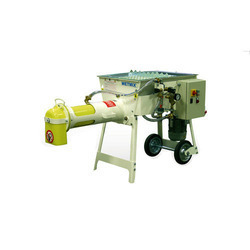 Enriched with years of experience in the industry, we are engaged in offering Mixing Blender Machine. Our organization is engaged in offering a wide range of Conical Mixers, which is used for mixing products like mouth freshener items. The drum of the mixers are manufactured using finest quality stainless steel. Drum rotates in both reverse and forward directions, so that the material moves up & down and gets mixed. It runs on 1H P 3-Phase motor. Banking on the skills of our qualified team of professionals, we are instrumental in offering a supreme quality range of Vertical Mixer Poultry Feed Plant.